Get ready, get set, Go! Slide into summer down 33ft. of pure excitment! Kids and adults go two at a time head to head sliding down the fiery wave inflatable to see who is first into the splash pool. Upon entering, guests will get sprayed with a refreshing mist coming from the big wave, before taking the journey down the 33 ft. inflatable slide. 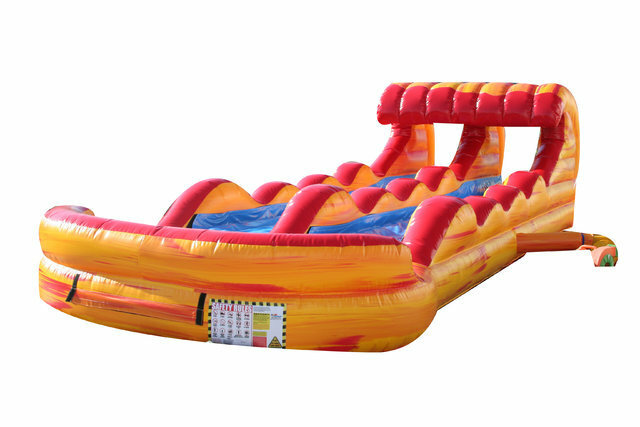 Add the our most popular Dual Lane Fire Wave Slip N Slide to your next party.